Lucy Schaufer’s current and future engagements include the leading role of DOCTOR Venables’ 4.48 Psychosis (world premiere) Royal Opera House, Covent Garden at the Lyric Hammersmith, MADDY Heggie’s Three Decembers Florentine Opera, MARCELLINA Le nozze di Figaro Opera Company Philadelphia, RUTH The Pirates of Penzance English National Opera, Eötvös’ The Golden Dragon Music Theatre Wales (UK tour) and a concert with the Birmingham Contemporary Music Group, including two works by Judith Weir. She will also make her Teatro Real Madrid debut in a future season. Most recent engagements include a Bernstein concert BBC Proms with the John Wilson Orchestra, SUSANNA The Ghosts of Versailles, MARCELLINA, BERTA Il barbiere di Siviglia Los Angeles Opera, ELF Adamo’s Becoming Santa Claus Dallas Opera, MARCELLINA English National Opera, ALDONZA Man of La Mancha Central City Opera, JENNY Knussen’s Higglety Pigglety Pop Aldeburgh Festival and the Barbican, OLDER WOMAN Dove’s Flight Opera Holland Park, SUZUKI Madama Butterfly New Zealand Opera, DER TROMMLER Der Kaiser von Atlantis and MA MOSS The Tender Land Opéra de Lyon, SOLOIST Ruth Crawford Seeger’s Three Songs Birmingham Contemporary Music Group as part of Oliver Knussen’s residency at the Library of Congress (Washington, D.C.) and SOLOIST George Benjamin’s Upon Silence Settembre Musica Festival, Milan and Turin. Other recent engagements include JUDY Punch and Judy Grand Théâtre de Genève, SUZUKI Houston Grand Opera, SWISS GRANDMOTHER/AUSTRIAN WOMAN/DANCING GIRL The Death of Klinghoffer Opera Theatre of St. Louis and ENO, SOLOIST The Garden of Earthly Delights (world premiere) BBC Proms, MARCELLINA The Marriage of Figaro and CAROLINA Elegy for Young Lovers ENO at the Young Vic, ANNE Heggie’s To Hell and Back Oper Faber in Portugal and MARGARET JOHNSON The Light in the Piazza The Curve, Leicester. Additional noted engagements have included PAGE Salome, BLUMENMÄDCHEN Parsifal and SUZUKI Metropolitan Opera, CLARE DE LOONE On the Town ENO and Théâtre du Châtelet, JUDY Punch and Judy and AMESTRIS Xerxes ENO, SMERALDINE The Love for Three Oranges New Israeli Opera, CHERUBINO Le Nozze di Figaro and HÄNSEL Hänsel and Gretel Los Angeles Opera, OCTAVIAN Der Rosenkavalier and CORNELIA Giulio Cesare Staatsoper Hamburg, and ERIKA Vanessa Los Angeles Opera, Hamburg Staatsoper, Opéra du Rhin, Washington National Opera and Opéra de Monte-Carlo. Lucy was a member of the Oper Köln. Concert performances include collaborations with Orquestra Simfonica de Barcelona, New York City Ballet, LA Opera (Gala: Domingo & Friends), Gulbenkian Orchestra and Gűrzenich Orchester. Recordings include Kurt Weill’s The Firebrand of Florence (BBCSO/Sir Andrew Davies), Ira Gershwin at 100: Celebration at Carnegie Hall (PBS TV/Rob Fisher), Der Rosenkavalier (ARTE/Simone Young) and Paul Bowles’s The Wind Remains (EOS Ensemble/Jonathan Sheffer) for BMG. 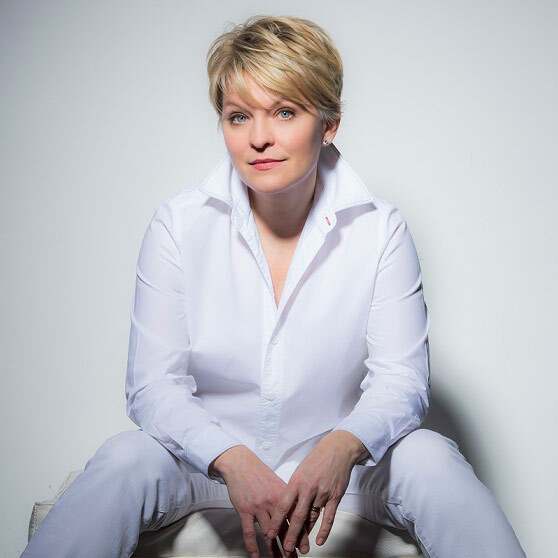 Lucy’s first solo recording, CARPENTERSVILLE, co-produced with ABC Classics, was released in the spring of 2013, and it was the Editor’s Choice in Classical Music Magazine in July 2013.